Cenderawasih Bay, Raja Ampat, and Triton Bay are known as Bird's Head of Papua- the epicenter of the Coral Triangle. 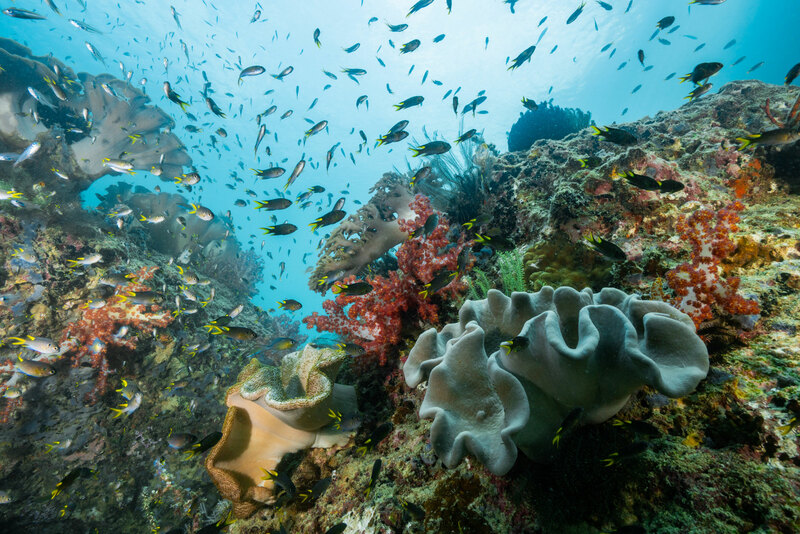 It is the world's most biodiverse marine ecosystem. 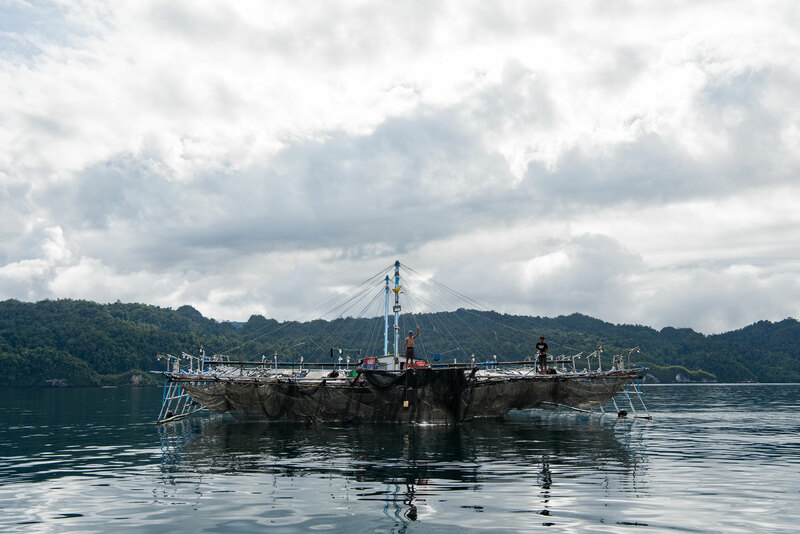 Triton Bay is part of the Kaimana Marine Protected Area encompasses 6,000 square km (2,300 square miles), and is located in West Papua Province, Indonesia. 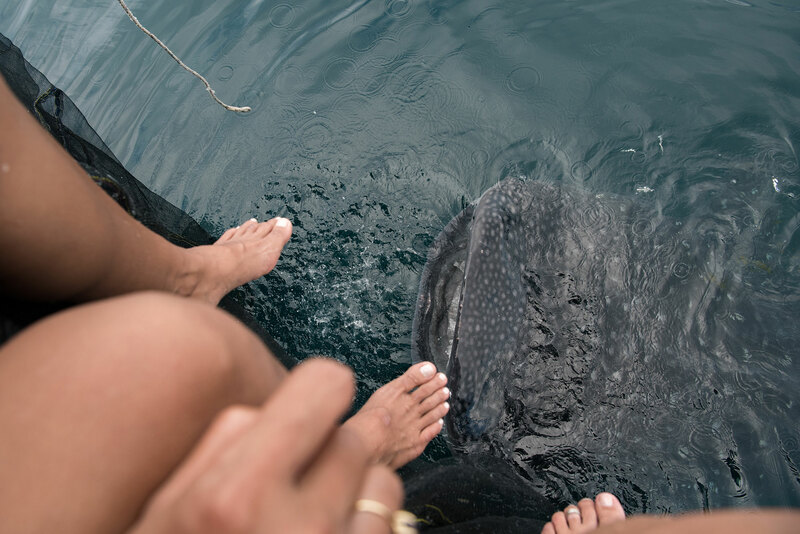 While most of people go north to Cenderawasih Bay to see the largest fish in the world, "The Whale shark", we sail south to Kaimana Bay. We are passionate about exploring islands less traveled. Traveling to Kaimana has never been easier. Garuda Indonesia flies to Utarom Airport (KNG) 6 times per week on their brand new ATR plane. During the 2 hours flight, we are spoiled by the beautiful view of Seram Island of the Moluccas as well as the coast of Kaimana. 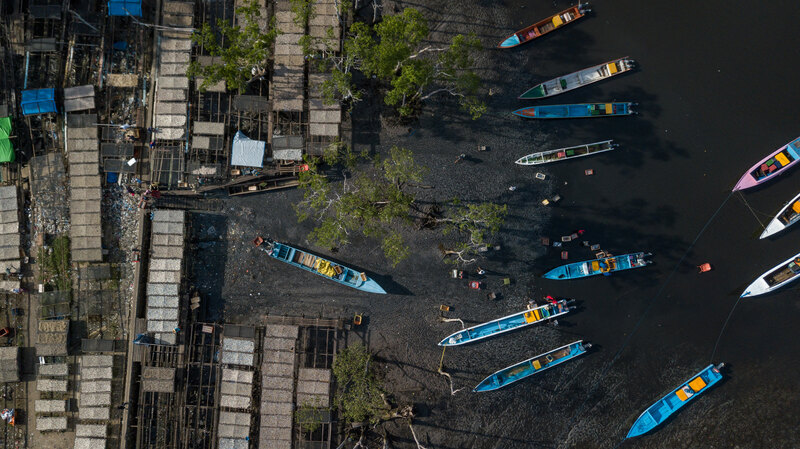 The bay of Kaimana is very open and organized with several fishing boats entering to sell their catch at the local market. 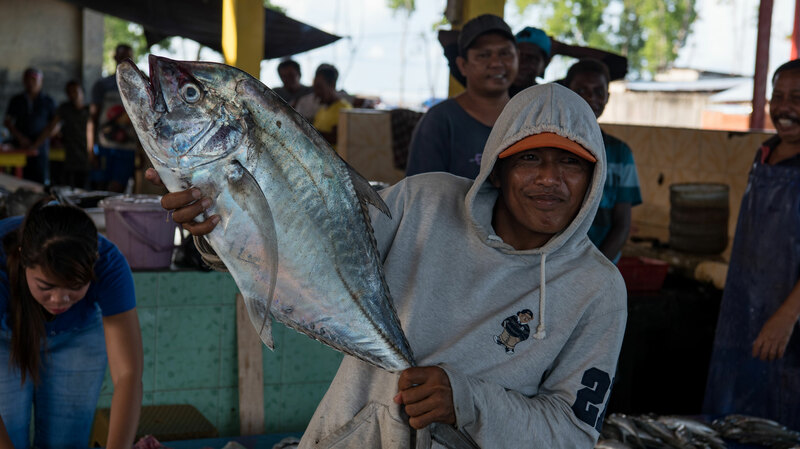 With our 2 motorbikes onboard, we drive around the town, meeting locals and visiting local market where our chef purchases fresh seafood and vegetable for our fine dining menu. The lush green forest and deep blue water welcome us to Aiduma Island. Our chef serves a signature Indonesian breakfast with exotic tropical fruits. Yohardik, our dive master, brings us to our first dive at "Little Komodo" located at Saruenus Island. 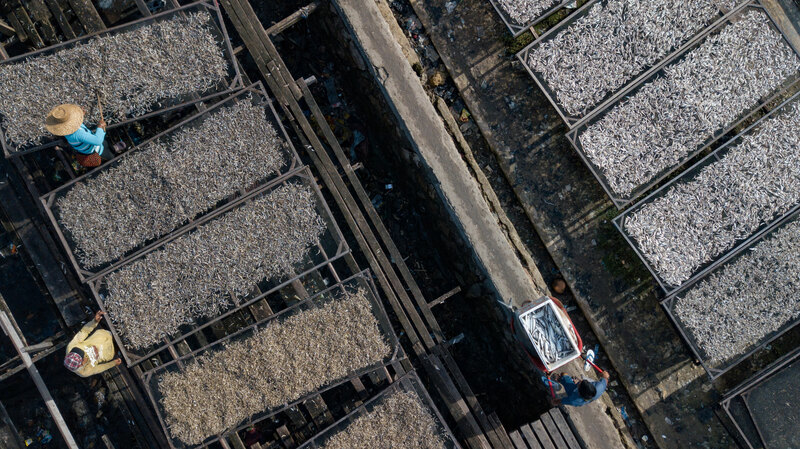 Within this five-kilometer long strait we are amazed by some of the most prolific soft coral growth in the Coral Triangle. "Little Komodo" resembles the famous Invertebrate-rich sites that abound on South Komodo. 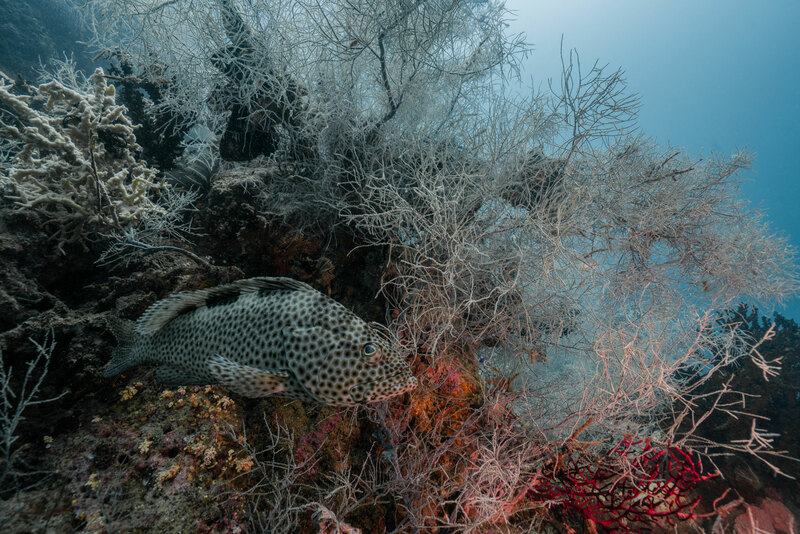 A series of 13-meter high boulders are covered with orange soft corals, as well as black corals filled surrounded by anthias, damselfish and sweetlips snapper. The clear water and shallow reef make for a perfect snorkeling. The fish in "Little Komodo" are larger than what we are used to seeing in neighboring Raja Ampat. The other highlight is "Black Coral Garden". Black corals grow in many different, often tree-like patterns, some of which look very similar to those of gorgonian corals, sea fans, sea feathers and sea whips found in shallow waters in subtropical and tropical regions. Colonies of some species can grow to a height of 3 meters or more, whereas others may be no more than 10 cm tall. The skeleton of black corals is laid down by the overlying living tissue, which in large colonies is composed of tens of thousands of tiny polyps each no more than a few millimeters in size. Depending on the species, the color of antipatharian polyps and the surrounding tissue "coenenchyme" can vary from translucent or whitish to green, yellow, tan, orange, pink, purple or red. Thus, living colonies of black corals do not appear black; it is only after the tissue is removed that the color of the skeleton is visible, and in many species the skeleton is not really black but various shades of brown, with the very thin branches often having a translucent reddish-brown appearance. 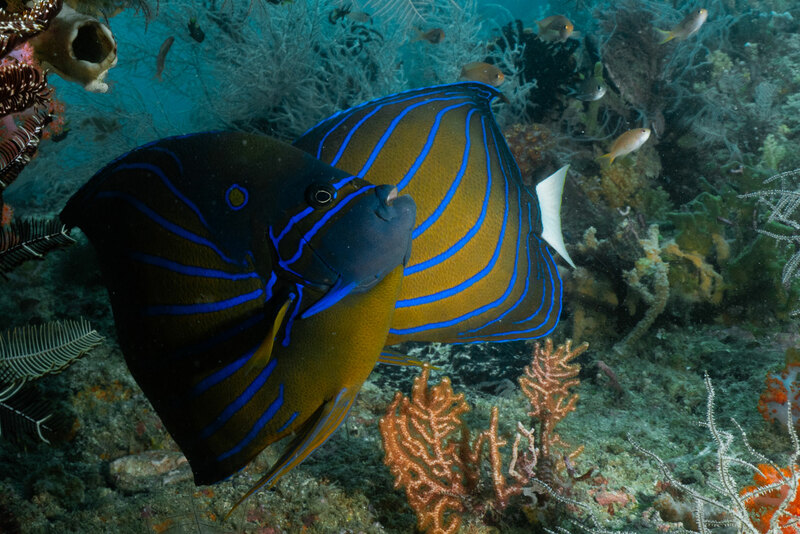 Our favorite's dive site in Triton Bay is "Bo's Rainbow". 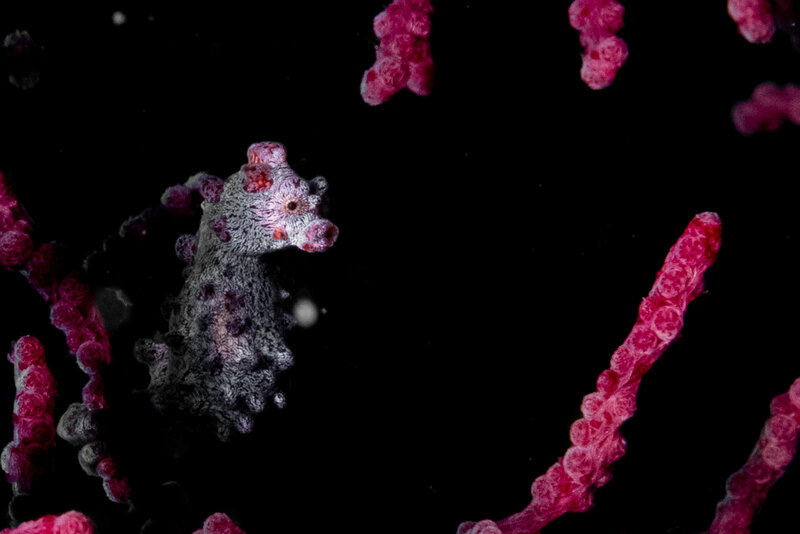 This site has a little bit of everything from pigmy seahorse, iconic nudibrach "Phyllodesmium Longicirrum" to tunnels filled with corals, similar to what is often found in Misool, South Raja Ampat. Impressive soft coral grow and schools of fish can be seen from above if you prefer to snorkel. Fak-Fak & Kaimana are the epicenter of marine biodiversity according to Conservation International with 1,003 species of fish, 471 species of hard coral, and 28 species of mantis shrimp. It is a marine wonderland that we have all to ourselves. 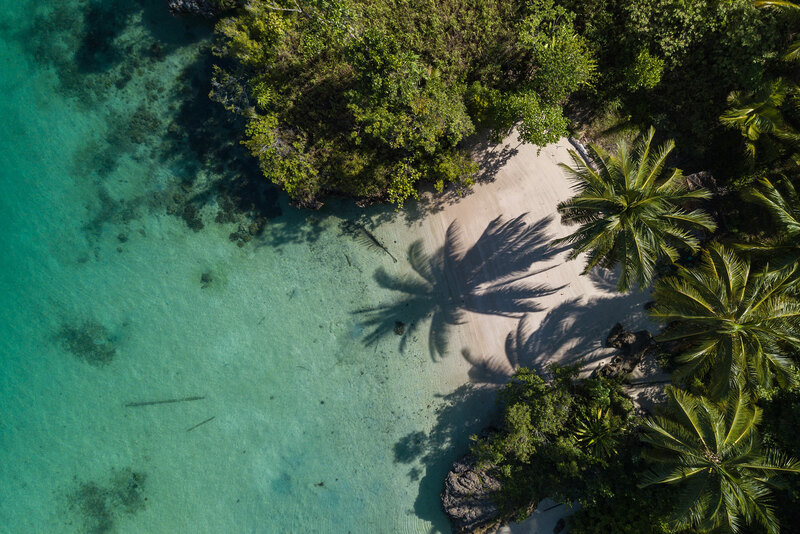 In between dives, we explore the green coastal areas with a kayak to reach more than a dozen pristine white sand beaches, where coconut trees and abandon fisherman huts welcome us. As we kayak, we see a group of dolphins making their gentle moves up and down on the mirror surface of the sea. It is priceless. We also utilize the Boston Whaler so we can explore a chain of small islands further from our anchor site. We choose an island that we wish to visit where lines of coconut trees make perfect shades for a picnic day. All we need is a good book and fresh coconut water. 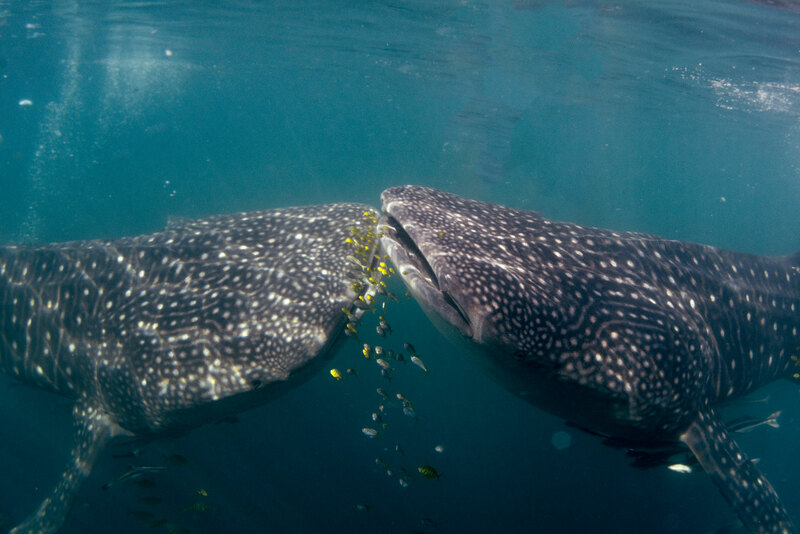 Imagine yourself submerge 3 meters underwater with two of 12-meter whale sharks on your left and your right. 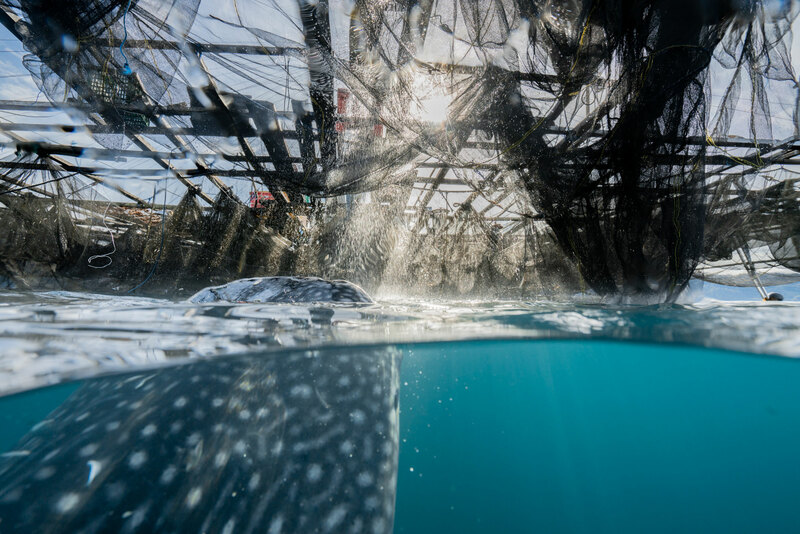 Whale sharks gather at the mobile "bagan" lift-net vessel to feed on baitfish handouts from the fisherman. As the small fishes are sucked in to their meter-wide mouth, you can feel the water rushing out of their gills. 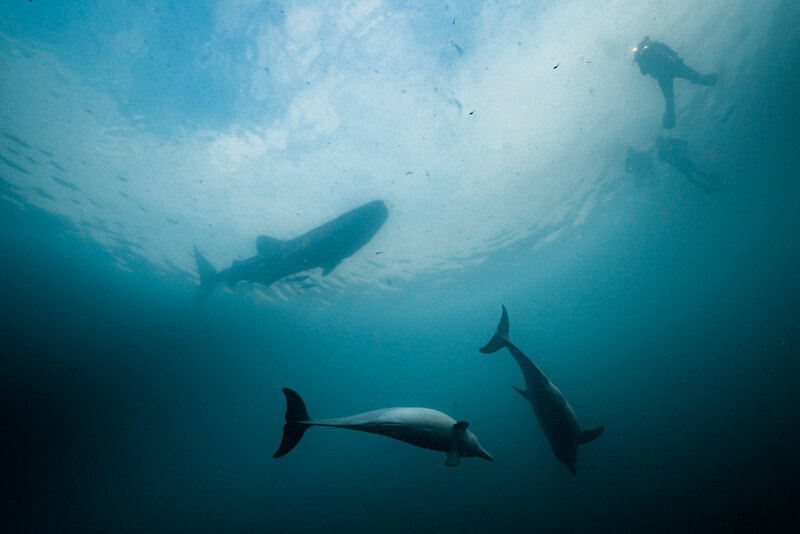 If you are extremely fortunate, like us, you will also see a dozen dolphins just below the tales of the whale sharks. The Dolphins feed on the small fish that the whale sharks fail to inhale in their enormous mouth. There are also scores of giant trevally fish under the dolphins. 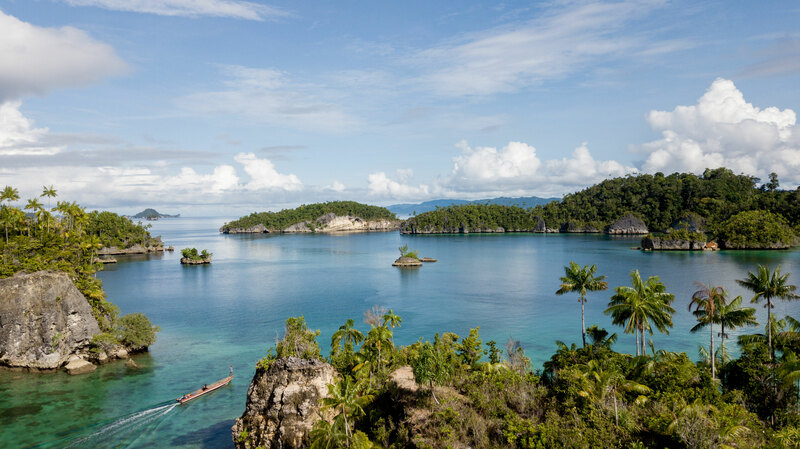 Located in a very remote area, on the mainland of West Papua, Mommon Bay exemplifies the lushness of Kaimana Regency. Easily spotted from miles offshore is Mommon Waterfall the icon of Mommom Bay. 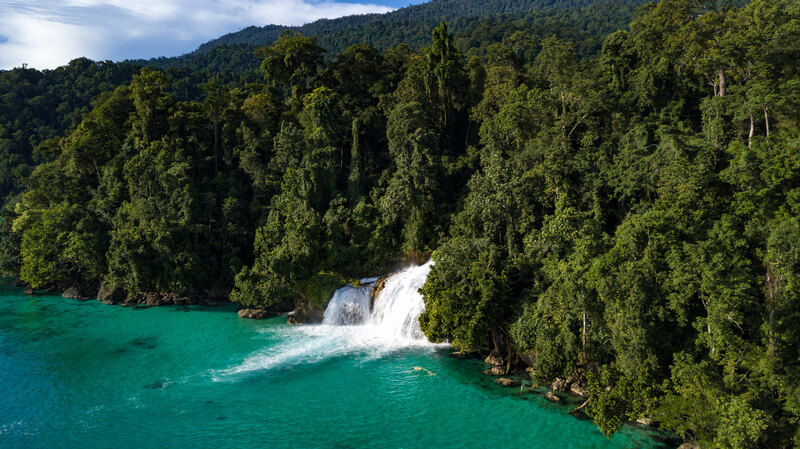 It originates from a large river of mainland Papua rainforest and falls directly into the sea. 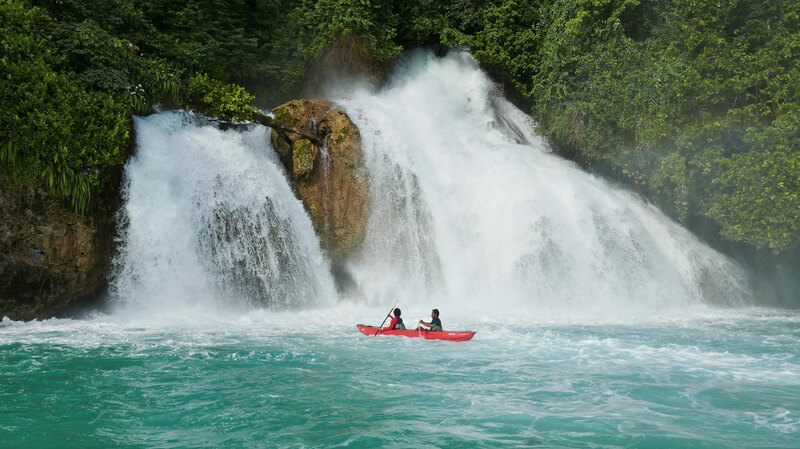 We take the Boston Whaler closer, so that we can jump into the ocean and swim directly under this waterfall, while some are taking kayak to enjoy its beauty to the next level. Sequoia is anchored close to waterfall so that you we enjoy its scenic beauty any time of the day. The adventure does not end here. Sequoia crew takes us to the rainforest for trekking. This is our first time first sighting of Papua pygmy kangaroo, a great flying fox, which we also see later in two islands in front of the bay, endemic butterflies and birds of paradise. It is the edge of wilderness. 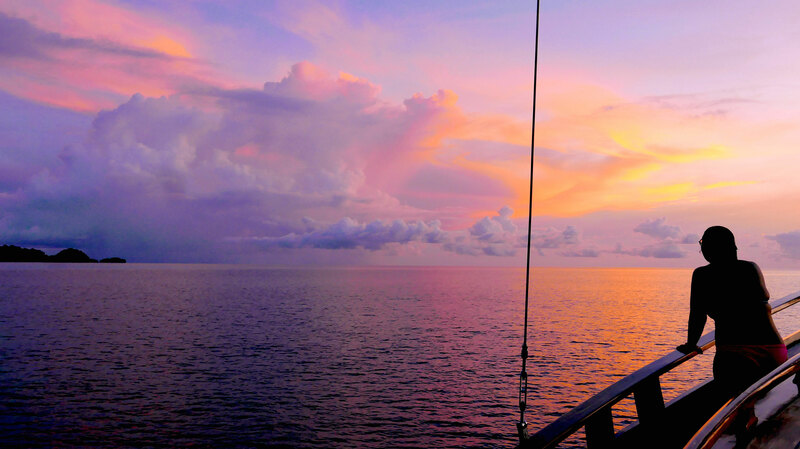 The sun has set, and we say farewell as we continue sailing to Koon Island, in the Moluccas region for the next safari. The Kaimana Safari is available from November to March. You can combine with The Wild Raja Ampat Safari, or on its own for a voyage of discovery. Video is created by Nala Rinaldo, underwater video by Wettraveler. Tommy Schult, Pinneng and CTS take images.